This is an interesting housing unit I saw on a pavement in my neighborhood. It’s a collapsible bed, strutted with a bamboo arch, then covered with a plastic sheet. The whole bed is risen on bricks (pulled out from the very pavement the unit is placed on!). The elevation keeps the unit dry and away from monsoon flooding, it also helps keep away insects and rats. The unit can house two people, in this case, the husband and wife. 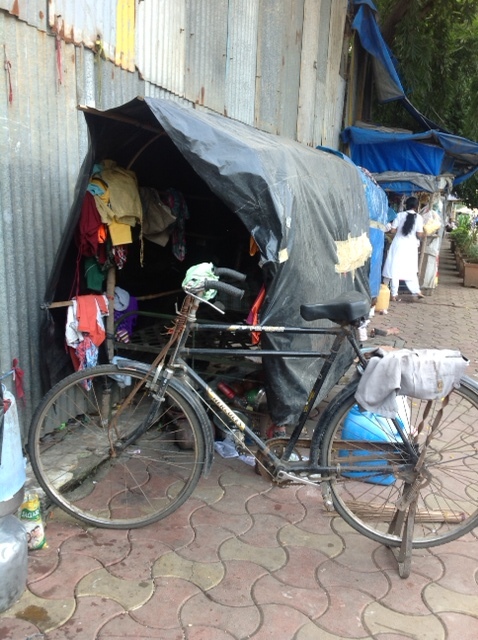 The person who lives in this unit works as a sweeper for the Mumbai municipality and cleans the beach that is situated at a 10 min walking distance from his home. He constructed this unit himself and was very proud of its design. 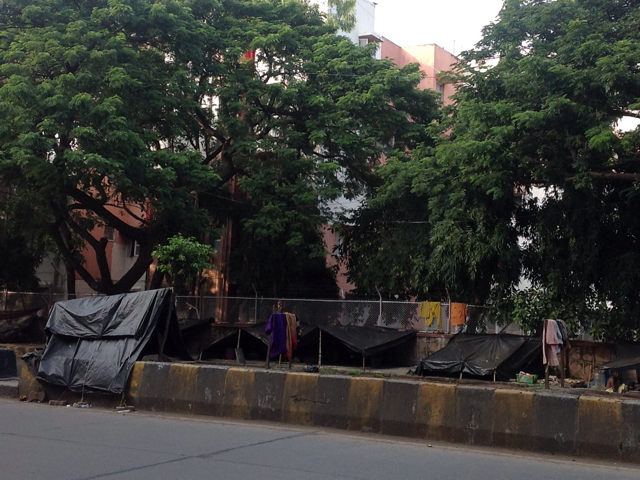 Their family uses the remaining pavement and the median to cook clean and dry clothes. 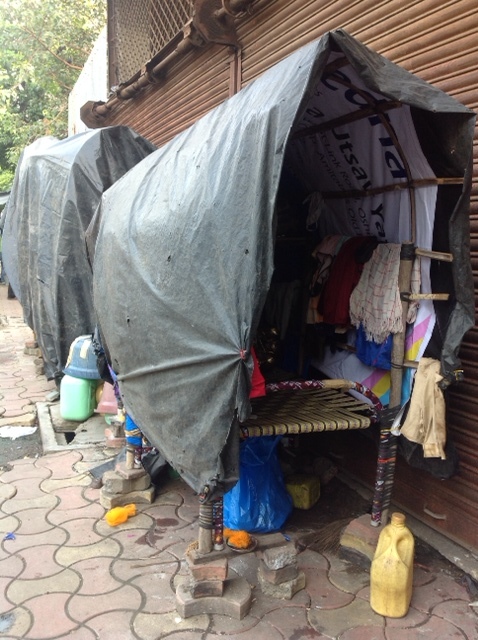 Other pavement dwellers who cannot afford a collapsible bed, sleep on the road median or directly on the pavement.